You don't get offered that colour scheme on the forecourt. SampleRadar's collection this week takes inspiration from all over the place. The influence of psychedelia, rock and even electronica can all be felt at times, as the sound veers from gritty to mellow. If you're still not sure what to expect, our advice is just to dive in and enjoy the trip. The samples are supplied in five tempo-labelled construction kits, each of which contains drum, bass, guitar, keyboard and other samples. 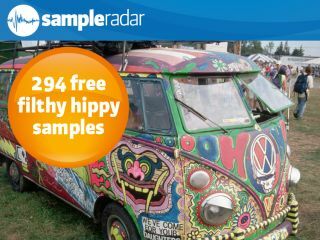 The filthy hippy samples are supplied in a zip file, so you'll need to extract them before you can see them. Enjoy!